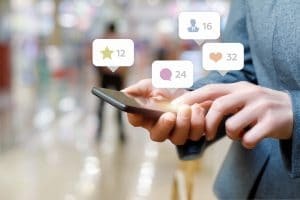 If you feel that a social media presence holds little value for your dental practice, you can miss out on important opportunities to boost your visibility online. With the right approach to social networking, you can expand your reach, manage your practice’s reputation, and create stronger connections with your current patients. If you are unsure of how to properly use your social media accounts, or if you feel you like the necessary time to post effectively, we can help! Our clients can take advantage of a special monthly package of content, which features quality images and captions for posts, as well as a schedule of how to organize your activity online. Your reputation online can be important to your success in attracting new patients to your practice. You may be surprised at just how many people think to turn to their laptop, phone, or tablet to find important services in their area. When you cultivate a successful social media presence, you can generate more favorable content and ratings, which can make you look more attractive to people who discover your practice online. If you want your website and social media accounts to reach the right people, you need to think about how to best communicate your location to Google. Local SEO efforts are specifically interested in encouraging search engines to promote your site for people who are near you. In addition to creating more content – and therefore more links – for people to find online, your social media profiles create more opportunities to publish your address and contact information. This helps you establish your NAP, or your location information – making this information consistent and readily available can be key to your local search visibility. One thing to remember is that your online activity can do more than just bring in new patients. The right social media presence is one that keeps your current patients engaged with you. The posts you share can encourage them to think of you, your team, and your practice as providing more than just oral health support. By letting them see you in a more personal light, they can feel a stronger attachment to you, which can make them more loyal. MDPM Consulting is ready to offer important support for your social media activity. In addition to offering expert insights into what you should do with social media profiles, we can actually provide you with consistent, quality content that you can share! For more information, you can reach us with the contact information provided below. Are you making the most of your social media presence? Contact us today and let us help you! Email MDPM Consulting at [email protected], or call us at 972-781-8861.